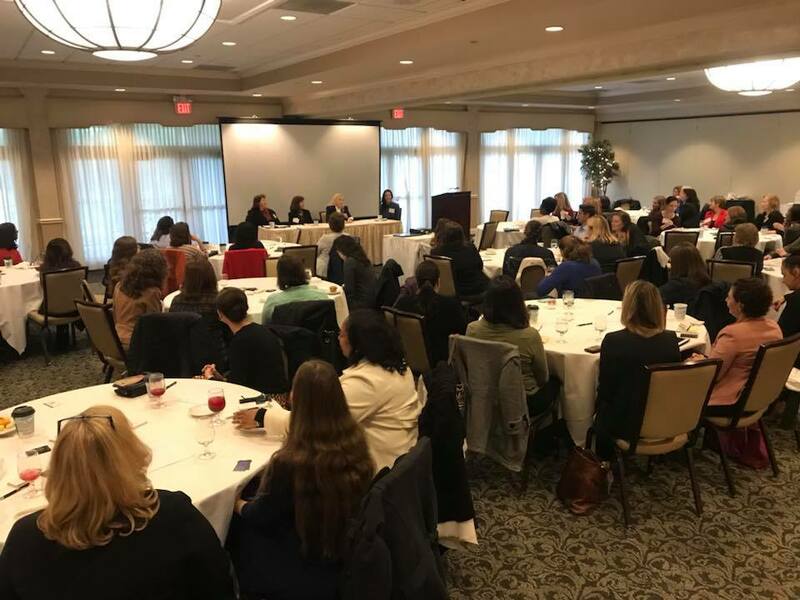 On November 14, the NVBIA Women in the Building Industry hosted a 2017 Leadership Development Roundtable at the International Country Club in Fairfax, Virginia. B.A. Spignardo of Shapiro, Lifschitz & Schram gave the keynote address and then moderated a panel of three other women in the industry: Amber Peebles of Athena Construction Group, Nancy Gilreath of Van Metre Companies, and Amy Morris of T3 Design Corporation. The panel focused on the topic of "identifying opportunities that unlock your leadership potential." The panelists shared their experiences in career advancement and how they have implemented programs and priorities to help other women reach their own career goals more quickly. Both Amber and Amy discussed challenges leading teams in male dominated fields and how they established credibility and confidence in their skills and abilities. Other topics covered included work-life balance, how to find a mentor and then how to become a mentor to others, along with lessons learned from decades of experience.